The ever-expanding Teddy’s Bigger Burgers family is welcoming its newest member: a new location in the Kapolei Village Center set to begin serving its iconic burgers in March. A local favorite, Teddy’s has also been spreading its Yummy Aloha on the mainland since 2009 with most recent agreements: nine store deals in the Philippines, multi-store deals in Texas, Las Vegas and an additional three more units opening in Washington and Southern California. There seems to be no stopping Teddy’s, with their commitment to providing flavorful, fresh 100-percent ground chuck burgers with unique toppings to satisfy any set of taste buds. Their famous, five-scoops of ice cream Extra Thick Shakes are beloved across the island. In addition, Teddy’s caters to everyone, with the menu including turkey, chicken or veggie burgers, fish or pastrami sandwiches and not short on healthy options like lettuce wraps burger and chicken salads. Eaters can look forward to the opening of Kapolei Teddy’s Bigger Burgers, an important step in the company’s growing repertoire. 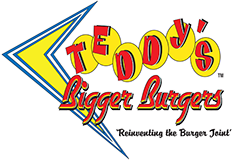 Teddy’s Bigger Burgers, on the corner of Kapolei Parkway and Wakea Boulevard in Kapolei Village Center, 4850 Kapolei Parkway, Kapolei, HI 96707, (808) 674-2447. Open daily 10:00 a.m. – 9:00 p.m.